Bullying is serious. It can happen anywhere, it can be done by anyone – and it doesn't just happen to young people. If you, or someone you know is being bullied, it's important to tell someone you trust and ask for help. And if you have been told you are a bully, maybe it's time to have a think about what's going on and see if you need some extra help. The links below have information to help young people who are being bullied, and also to help those who have been accused of bullying to change their behaviour. You can also read about different kinds of bullying, why people get bullied, and how to deal with it. Plus you can chat to a counsellor online. You can also read about bullying, and how to get help for yourself or a friend. Plus you can chat to a counsellor online. You'll find information about bullying, and also read Todd Nester's story about being bullied because he was overweight. This is an Australian site, so the phone numbers don't work in New Zealand. Here you'll find answers to questions like: What is bullying? How can bullying affect you and others? What can you do to stop bullies? 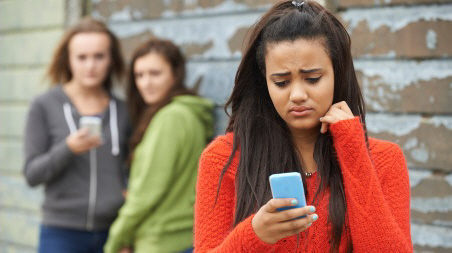 Information and help with cyberbullying. How to deal with bullying and what to do about bullying at school. On the next page: How to help if your teen is being bullied.